The Hollywood Reporter, April 1, 1993. 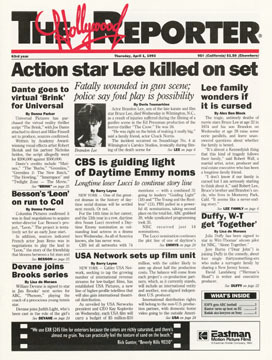 "Action Star Lee Killed On Set" and "Lee Family Wonders If It Is Cursed" stories, approx. 3 pages total.